Puffy vs Tuft and Needle Mattress Review: Easy Win For PUFFY! The Puffy and Tuft and Needle mattresses are both all foam mattresses that use a two-layer system to create their unique feels. Both products come shipped to your home for free and have an easy set-up process. Both mattresses are 10-inches thick and use various bits of technology to try and enhance their layers to be the most comfortable. With a unique feel for each bed, we take a deep look into both products to decide which one is the most comfortable. Below we take a look at several categories to figure out whether the Puffy vs Tuft and Needle is the perfect fit for your home. The Puffy mattress is a premium two-layer foam mattress made to make you feel an intense amount of comfort as you sleep on it. The mattress uses two different types of foam to give the bed a comfortable and responsive feel. The Puffy even comes with little to no off-gassing since each mattress is made-to-order. That means your mattress won’t be sitting around in a warehouse building up a horrible smell before you purchase it. The mattress also comes with a sleep trial period and a wonderful warranty to keep you using your new mattress for years to come. Want to jump right to the full Puffy Mattress Review? Head over to our in depth look of the Puffy Bed HERE! The Tuft and Needle mattress is a 10-inch thick mattress made up of only two all foam layers. The mattress is made in the USA so that the company can keep a close watch on the quality of each product it puts out. The mattress will ship to your home for free in a compact box and only weight around 60 pounds at the queen size. The Tuft and Neede does have a very unique latex-like feel to its top layer and is a medium-firm bed that will fit the needs of most sleepers out there. The Puffy mattress comes delivered to your home completely for free in a compact cardboard box. The unique thing about each Puffy mattress though is that each Puffy mattress is made to order. The mattress are made and packed in the USA and only after they are bought, this helps cut down on the time the mattress spends couped up in a box. The Puffy mattress will weigh around 72 pounds at the queen size. While this isn’t too incredibly heavy for a mattress we still suggest having a partner to help set everything up. The Tuft and Needle mattress comes with free delivery to your home as well. Once the Tuft and Needle arrives all you need to do is open it up and begin the expansion process. The Tuft and Needle mattress will weigh around 60 pounds at the queen size. While this is less heavy than the Puffy mattress we still recommend having some help thanks to the awkward shape of a mattress. Once you get the mattress in the door though just give it between 12 to 24 hours to fully expand. As for off-gassing goes, the Puffy has almost none thanks to its made-to-order policy. Since the Puffy mattress is literally only compressed for shipping to your door, it doesn’t have time to build up off-gassing like many other mattresses do while waiting to be shipped. The Tuft and Needle, on the other hand, will have some off-gassing. 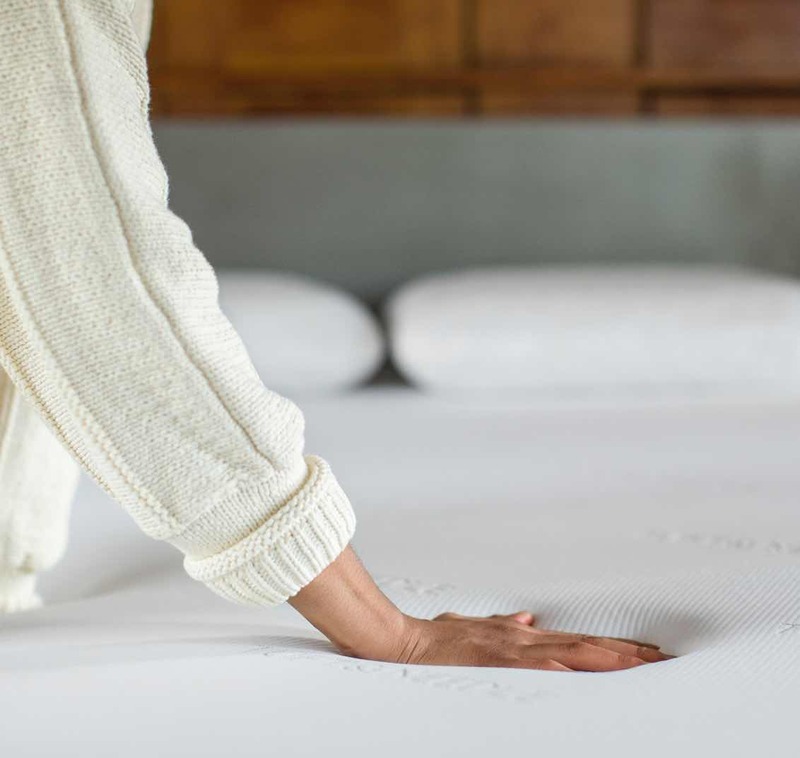 While the Tuft and Needles off-gassing isn’t hazardous, those sensitive to strong smells will want to give the mattress some time to air out before use. 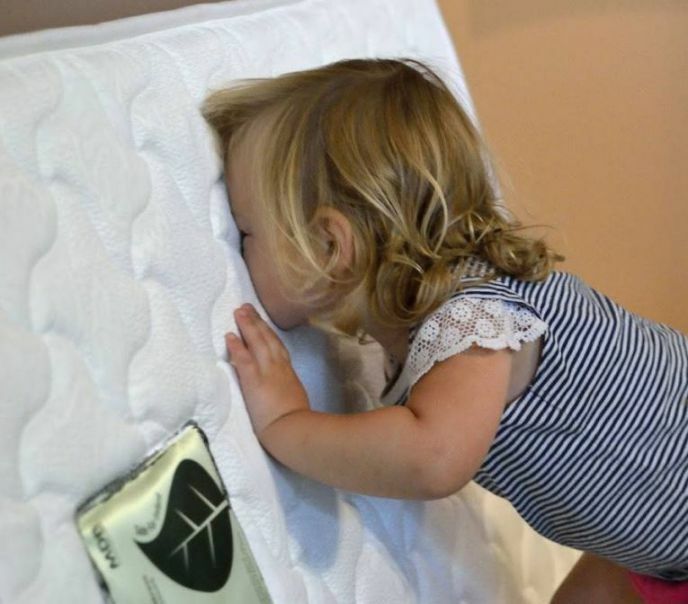 We recommend giving the mattress at least 12 hours in an open room to get rid of any smells. You should also keep in mind that compacted mattresses will still need a few nights to regain their full firmness. Both the Puffy and Tuft and Needle mattresses are made of all foam layers. Both mattresses only use two-layers to create their feel with the bottom layer being a support foam layer. They are even both 10-inches thick. The big difference between the two mattresses is the overall quality of the layers. The Puffy layers use much higher quality real memory foam while the Tuft and Needle’s layers are mostly cheaper poly foams. Puffy also uses tons of useful technology in their mattresses layers to help make the foam less heat retaining, a huge plus for any all foam bed in the industry. The Puffy mattress is 10-inches thick and made up of 3 foam layers. The first layer is 2-inches of Cooling Cloud memory foam. The cooling cloud foam is made with gel infused inside of it. The gel increases this layers air flow 8 times more than standard memory foam. This layer also uses convection and conduction technology to pull keep heat away for your body. It quickly adapts to your body to give optimal pressure relief. It’s soft where it needs to be, but is still supportive and firm enough to provide the support your body needs. The middle layer is 2″ of ClimateComfort memory foam. This layer is a great transition layer that adds even more comfort and adaptability. It really adds to the deep comfort of this mattress, making it great for side sleeping. Not only is this layer added pressure relief but it also helps the mattress sleep cooler too. The technology helps keep this layer temperature and humidity resistant. Meaning the mattress is drier and cooler for the best night sleep. 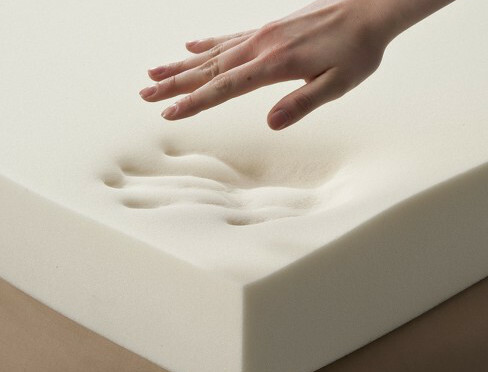 The base of the Puffy mattress is made of 6-inches of Firm Core Support foam. This is the core of the mattress that gives the bed the majority of its support. This layer also helps your Puffy mattress stay durable for years to come. This foam has Insta-Firm technology built in. This technology makes the layer 4 times more supportive and 99% more responsive than traditional foams. Allowing you to change positions easily while sleeping. All of this is wrapped in a cover that can be removed for cleaning. The cover has a cloud pattern on top with dark gray panels on the side. Does the pressure relief of memory foam sound like it’s for you? Shop the Puffy at Puffy.com! The Tuft and Needle mattress is similar to the Puffy with its two-layer system. The Tuft and Needle mattress is 10-inches thick and made completely of foam layers. The first layer of the mattress is a proprietary Tuft and Needle adaptive foam. This foam is infused with gel beads keep the layer from running too hot during the night. This layer is made to have a unique feel and when you lay on it will feel like a halfway point between a latex layer and a foam layer. While this does give this mattress a unique feel, this can feel a little less quality than some other types of foam. The last layer is the support layer for the Tuft and Needle mattress. This layer is made of a 1.8-pound dense base foam. This layer is 7-inches thick and gives the mattress almost all of its support. The mattress is wrapped in a polyester rayon cover that helps protect the inner layer from messes. The cover is both lightweight and breathable to help you have a comfortable nights sleep. The Puffy mattress is at a pretty perfect medium-firm feel for mattresses. The Puffy mattress hits between and 5-7 on a scale 1-10, depending on your size. Still, the Puffy mattress will work decently well for all sleeping types. This comfort level makes this mattress ideal for all sleeping styles. With the very adaptable memory foam comfort layers it is perfect for all shapes and sizes too. Making it ideal for back, side and stomach sleepers. The Puffy mattress also does a wonderful job at getting the dense memory foam feeling down. The mattress also perfectly hugs and contours to your body for a great sleeping experience. 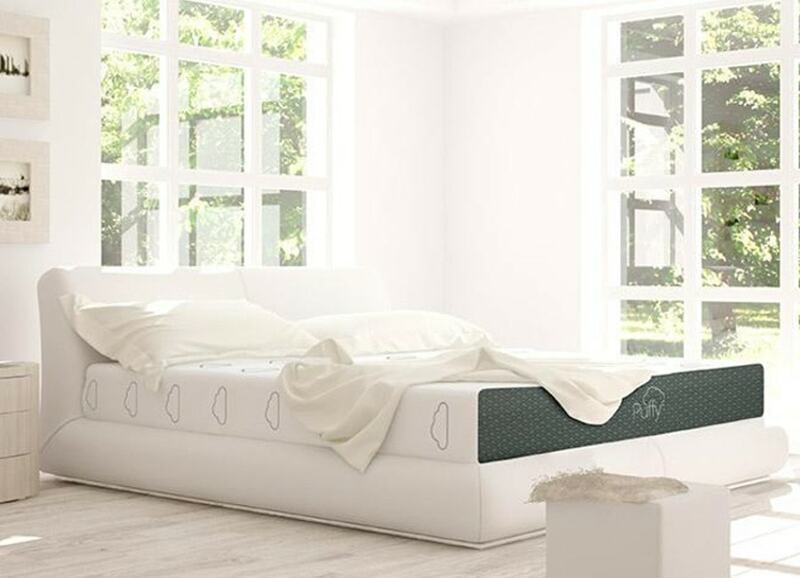 Don’t worry about getting stuck with the Puffy though, the bottom support layer gives the bed plenty of responsiveness so that you can easily toss and turn during the night. Just keep in mind that this bed is slow responding and will need some time to readjust after you have changed positions. 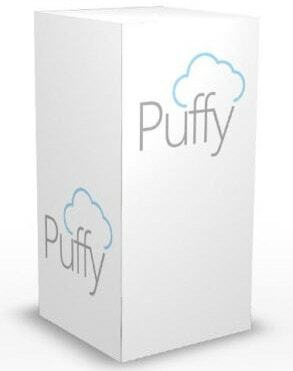 Make sure to get your Puffy NOW at Puffy.com! And you’ll be sleeping cool and on a cloud in a few short days! The Tuft and Needle mattress is an all foam mattress with a latex-like feel for its top layer. The mattress hits at around a 6.5 to a 7 on the 10 point firmness scale, making it a medium-firm mattress. The Tuft and Needle mattress will be best for all types of sleepers, but some may find that is just a little to firm or a little bit too soft. If you are a heavier person you also may find that the mattress has less support than you where suspecting. The mattress will feel like a softer mattress to you and may be uncomfortable depending on your sleep preference. On top of this, the Tuft and Needle doesn’t have as much core support as some other models. This also leads to things like less edge-support across the whole bed. This also makes us worry about the long-term durability of this bed. Overall though, the mattress is very responsive and has a pleasant feel. Motion Transfer can be a huge deal breaker for couples who have started to share a bed or recently gotten on a different sleep schedule. There is nothing worse than moving in with your partner just to find out you can’t stand how much they toss and turn in their sleep. To help combat this and keep couples sharing the same bed mattress companies work to isolate motion transfer when it happens. Both the Puffy mattress and Tuft and Needle mattress are completely made of foam, a motion absorbent material. With these mattresses, you won’t even notice when your partner has to get up early in the morning. If we are looking at some of the top reasons someone can’t fall asleep at night, then heat ranks pretty up there. In fact, there are few things worse than a bed that makes you sweat as your trying to sleep. Both the Puffy and Tuft and Needle mattresses are made out of all foam. Foam is notorious for being a comfortable material that has the horrible side effect of retaining heat. To combat this many mattress companies have developed new types of mattress technology to help keep their beds sleeping neutral all night long. The Puffy mattress does a pretty great job at keeping things neutral during the night. This is because Puffy makes sure to use effective cooling technology all throughout there mattress. This includes there cooling cloud material that uses convection and conduction to pull heat away from you and increasing there layers airflow by 8 times that of a normal mattress. The Tuft and Needle mattress does an ok job of warding off heat. The company uses a combination of gel beads with firmer foams to keep you from burning up during the night. Edge support determines just how much of the mattresses surface you can use for sleeping. A mattress with no edge support will only let you have full support towards the middle of the bed. On the other hand, a mattress with proper edge support will have the same great support from edge to edge of the bed. Both the Puffy mattress and Tuft and Needle mattress try to give you a decent amount of edge support so that you can use the whole surface of the bed for sleeping. 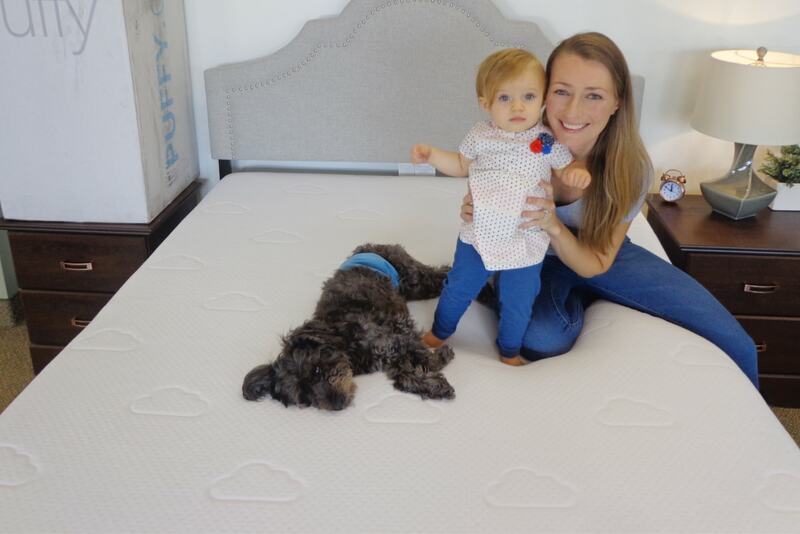 The Puffy mattress uses a ton of support with a firm base foam to make there mattress have the same great feeling no matter where you choose to lay. Thanks to this you can sleep on the very edge of the Puffy mattress without feeling like you are going to slide off the edge of the mattress. The Tuft and Needle mattress uses firm foams much like the Puffy but has slightly less support. You can still sleep on the bed comfortably, but thanks to the questionable materials used in the Tuft and Needle, we can’t speak for long-term edge support. The Puffy is a great value for a true memory foam mattress that offers not one, but two layers of memory foam. As well as has ample benefits and superior comfort and support. Shop for your new Puffy mattress now at Puffy.com and make sure to use our coupon to save BIG! The Tuft and Needle may be cheap, but if you want the best mattresses on the market that still are within a budget check out our Best Mattresses on a Budget. These mattresses have GREAT quality and a GREAT price. 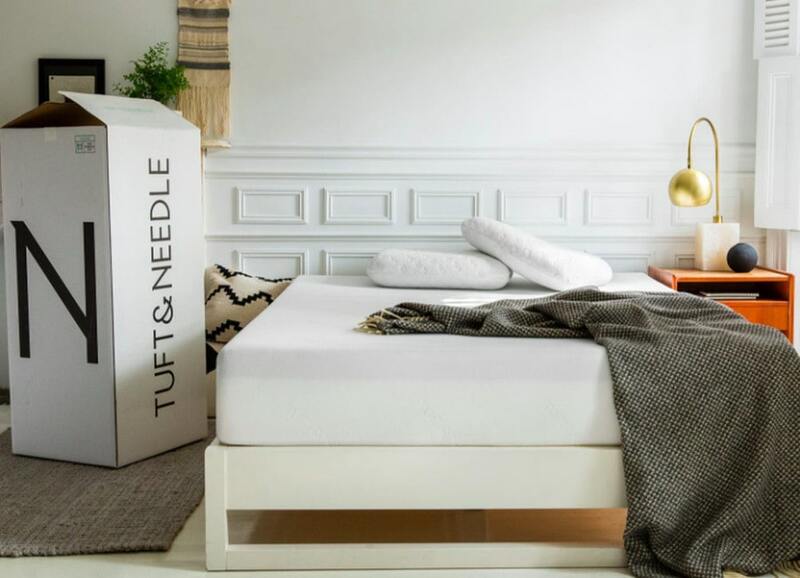 While the Tuft and Needle is much cheaper than the Puffy mattress, it does have quite a few things hurting its overall value. For starters, better quality materials are used in the Puffy and the Tuft and Needle has a much shorter warranty period. The Puffy also is made-to-order and then shipped to your door while the Tuft and Needle sits around in a factory waiting for a buyer. Both the Puffy and the Tuft and Needle mattress have responsive customer service representatives that are easy to reach. Both products also come with a sleep trial warranty so that you can sample the beds before fully committing to either product. The Puffy mattress comes with a 101-night sleep trial period and the Tuft and Needle comes with a 100-night sleep trial period. Both options can be returned for free if things don’t work out and your original purchase amount will be refunded. The Puffy mattress and the Tuft and Needle mattress do have a few different things in common. For starters, both mattresses are made of purely foam layers and only use a 2-layer system. They both are medium-firm beds that hit near a 7 on the ten-point firmness scale as well. Both beds will ship to your home for free in a cardboard box and are 10-inches thick. They also have similar sleep trial periods with Puffy’s period being only 1 day longer. That’s where the similarities end though. The Puffy mattress is made of better materials while the Tuft and Needle mattresses are made with more questionable products. This makes us worry for the durability of the Tuft and Needle that also has a shorter warranty. The Tuft and Needle also have more off-gassing since the Puffy mattress is made-to-order and then packed into a box. The Puffy also has better temperature control and better edge support out of the two. The Puffy is more expensive out of the two, but it is well worth it considering the premium quality you get out of the brand. Also, there is plenty more beyond the Puffy vs Tuft and Needle mattress comparison. Make sure you check out all the other Puffy comparison reviews featured in our Mattress Comparisons. We feature the Puffy vs Purple as well as the Puffy Lux vs Purple. And the Puffy vs Casper, Puffy vs Leesa and Puffy vs Nectar. And even the Puffy Lux vs Loom and Leaf and Puffy Lux vs Nolah 12″ Signature. Or to compare any of our reviewed mattresses utilize our unique and one of a kind Mattress Comparison Tool. It is great for getting a glance at several mattresses side by side. Our goal is to help you get the best nights sleep possible. Learn more about each mattress featured in their full reviews too: Puffy Review & Puffy Lux Review. And always remember Our Sleep Guide is here to help you find your next perfect mattress. If you have any questions along the way feel free to contact us.